Whether you’re an experienced diver or someone who wants to learn in shallow waters, the coral reefs of the Red Sea are bustling with life and ready to be explored. In total, Egypt has 1,400km of coastline. The water temperature has an agreeable average of 25°C so snorkelling in the spring and late summer is a good way to avoid higher temperatures and crowds. In Hurghada, a former fishing village and now popular resort town, plenty of beachfront hotels offer snorkelling. Further north, you can head to Dahab or Ras Muhammad for a more low-key but equally enjoyable experience. Windsurfing and kitesurfing are both popular pastimes in Egypt, meaning that it’s a great place to learn and connect with an existing community. Beginners can start out in one of the Red Sea’s lagoons, while seasoned surfers can get up to speed on its expansive flat waters and waves. Dahab and Hurghada are common destinations, while further south Soma Bay and Safaga have something for all levels along their lengthy, idyllic beaches. Egypt boasts sailing excursions of all shapes and sizes, whether it’s a relaxing one- or two-hour cruise down the Nile to watch the sunset or, a more bracing trip across the waters of the Red Sea. Hurghada and other popular destinations offer sailing lessons for adults and children, while experienced seafarers can take the opportunity to head out on their own and see Egypt’s bays and reefs at their leisure. Learning to operate a felucca – the modest sailboats that have been used for centuries in Egypt – is a great way to connect with coastal culture. Divers looking for an even bigger thrill can take on the challenge of shipwreck diving in the Red Sea. 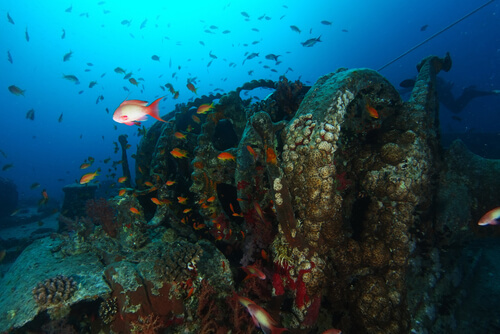 There are several sites to explore, the most famous of which is the SS Thistlegorm. A British merchant navy ship, it has sat more than 30m underwater near Ras Muhammad since it was sunk during World War II in 1941. It is often described as an underwater museum given its size and contents. Other popular destinations include the six shipwrecks that comprise Abu Nuhas in Hurghada and the SS Dunraven which sunk near Ras Muhammad in 1873. Proof that there’s adventure to be had away from the water, Egypt’s quad biking excursions are a chance to journey inland for some adrenaline-fuelled fun. Tours tend to last between three and six hours and cost an average of about E£115 (AU$9) an hour. It’s possible to ride to world-famous sites such as the Pyramids of Giza and the Luxor Temple or reach some otherwise hard-to-find markets and camps. Hurghada is a popular starting point and tour guides are happy to run a few practice laps with you if it’s your first time on a quad bike. Anyone wanting a longer stay in the Egyptian desert can get away from it all with a camping trip. Located in the Western Sahara, the White Desert is the most popular destination, with eye-catching rock formations such as the mushroom and ice-cream cones forged from chalk. A national park, it became a protected area in 2002 and visitors come from around the world to experience its blissful calm, stunning sunrises and sunsets. Other nearby desert locations popular with visitors include the Black Desert, so called because of its volcanic rock landscapes, and the Crystal Mountain, an ancient ridge that sparkles with quartz crystals embedded in its rocky edifice. Another attraction of touring Egypt’s more secluded locations is the chance to visit Nubian villages, populated by the descendants of tribes who live in traditional brightly painted houses among the palm groves. 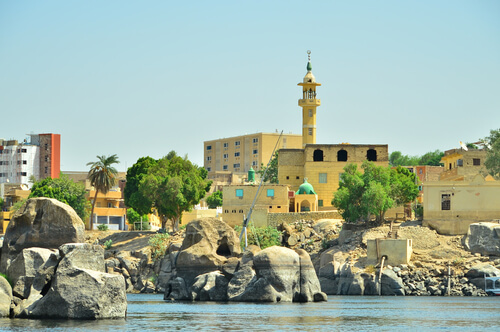 Aswan, a city in southern Egypt, has one popular Nubian village on its outskirts along the banks of the Nile. Accessible by quad bike, jeep or motorboat, some hotels will also run pick-ups and drop-offs to the site, with excursions from as little as E£322 (A$25). Elephantine Island is home to two Nubian villages – Siou and Koti village – and more modern resorts for travellers looking for rest and relaxation. The famed Nile river has long been popular among tourists, however, a new method of exploration is making its way onto itineraries. Kayaking on the Nile is a great way to take in Egypt from a new perspective. As kayak tours are a relatively new concept in Egypt, most trips depart from Cairo or southern Aswan. Unlike sea kayaking or tackling rapids, the Nile is a calm stretch of water without headwinds, making the journey an easy one. So sit back, relax and enjoy the sights of the Nile as you float by. Mount Sinai on the Sinai Peninsula is where Moses received the 10 Commandments, according to Abrahamic religions. It has a variety of trekking options, from brief excursions to multi-day epics that will enable you to cover an impressive amount of its 2,285m elevation. The 220km Sinai Trail is arguably its best-known and comes steeped in history, granite and volcanic rocks. A less daunting option is to visit the Sinai region, marvel at its stunning views and discover the nomadic Bedouin tribes whose culture is preserved in the surrounding area. Egypt’s most famous animal is also a tour guide in its own right, with camel riding popular at the Pyramids of Giza, in particular. Trips can range from 20 minutes to two hours and while being elevated up to two metres for your ride can seem daunting, a responsible guide will take good care of their animals and you. You will have to haggle for the best price, but short tours can cost as little as E£39 (AU$3) – and it’s easier than riding an Egyptian crocodile!